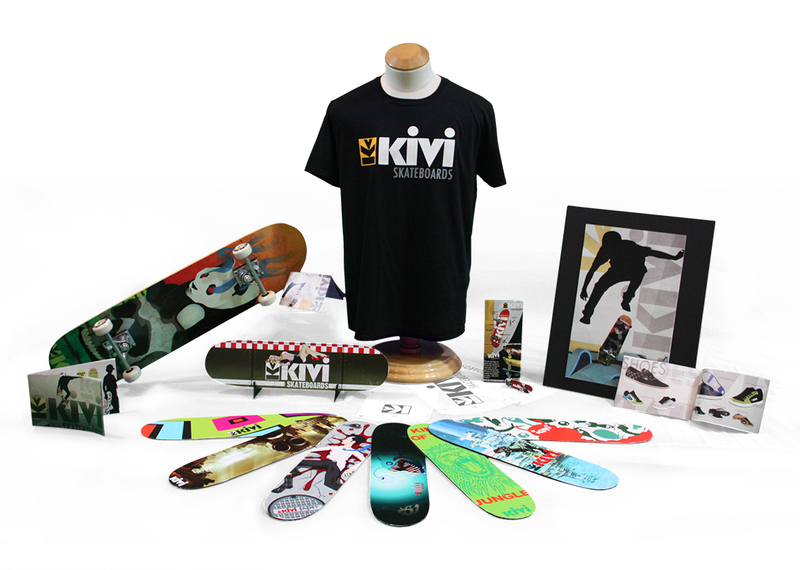 Art Director for Kivi Skateboard company. 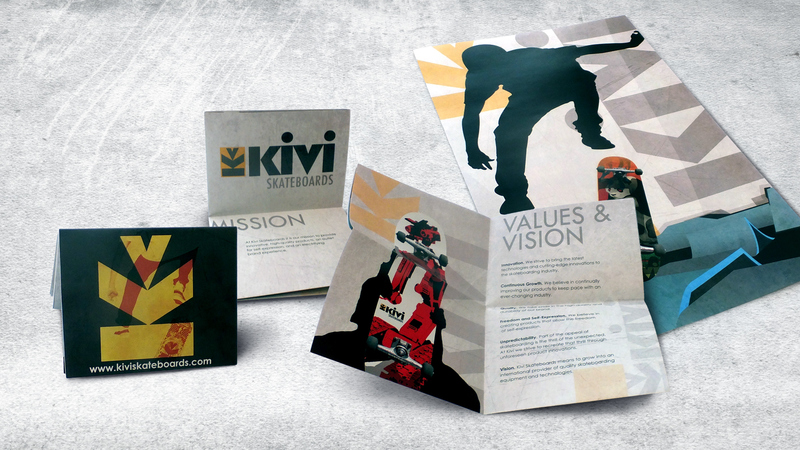 Print design and implementation. 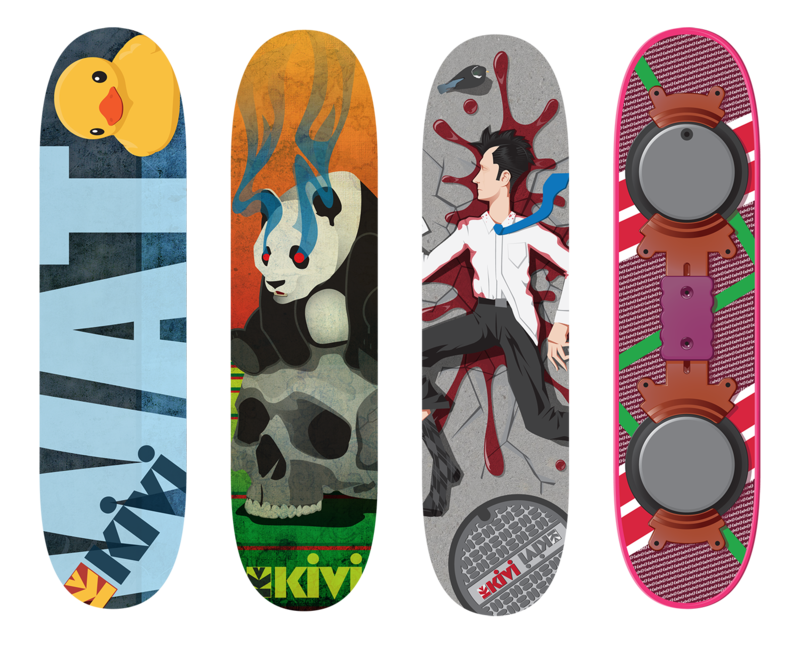 Multiple board and wheel designs were created and formatted for display in the product catalog and company brochure. 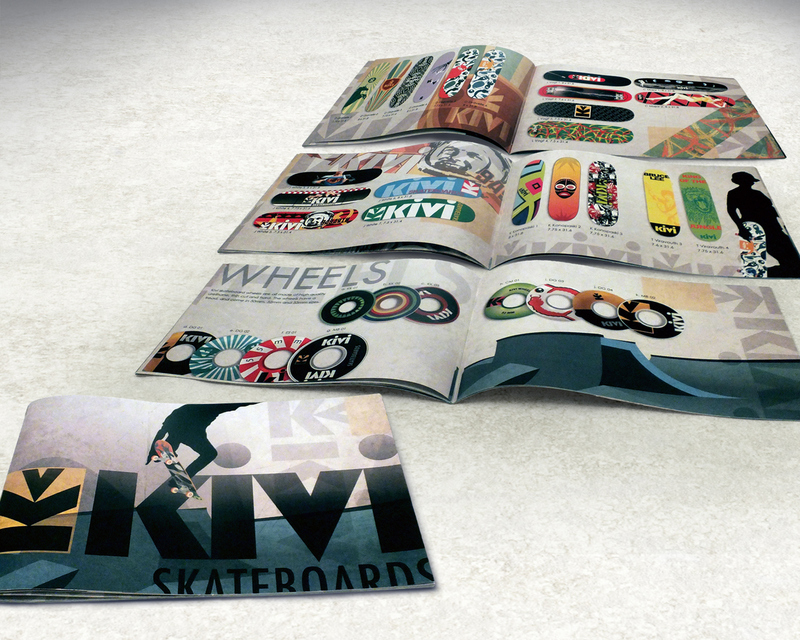 22 page product catalog. Board pages used elements of board graphics as part of the background design making each page unique.